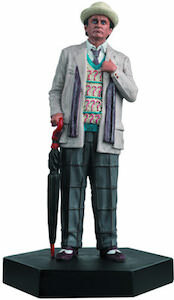 There is Clara Oswald the girl that is the companion from the 11th and 12th Doctor Who and this figurine on Clara will make you head shake. Or maybe it’s her head that shakes as it is a bobblehead figurine. 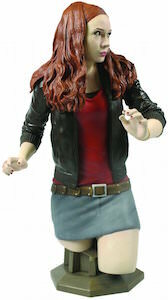 The figurine shows Clara at her best in a nice red dress and red sneakers and she has a stand to witch has the Doctor Who logo and her name on it. The Clara Oswald bobblehead is about 7 inch tall and comes in a nice windowed box for if you want to keep her in new mint condition. 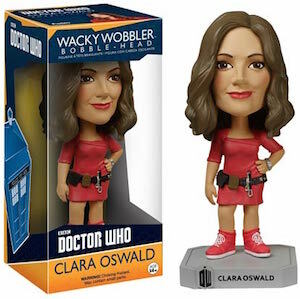 Any Doctor Who collector is gone love having this so come get your Doctor Who Clara Oswald Bobblehead.